Vampy fill 3! Let's do this! 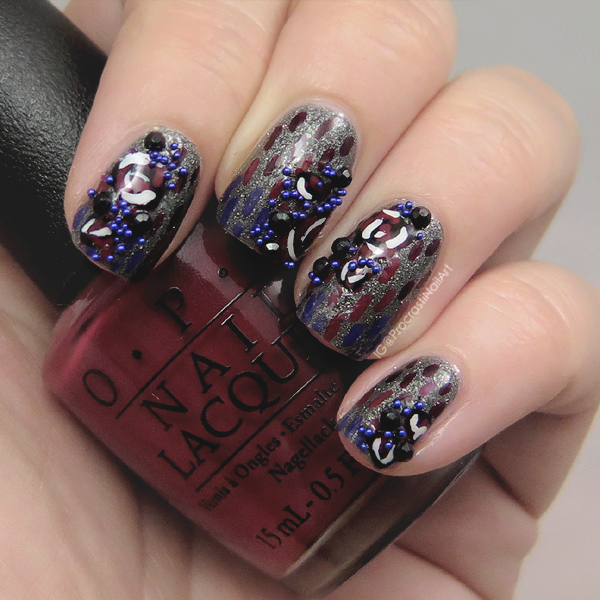 :) This week has really shown me that when I think of vampy I think of a small handful of very specific polishes in my collection... I seem to just be using them over and over. So funny! So what exactly did I use for this mani? I'm glad you asked! 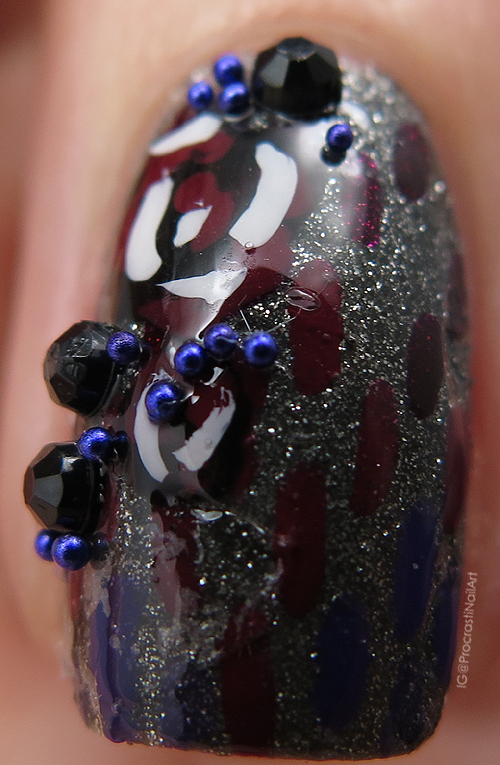 My base is a polish I just recently picked up: Sinful Colors After Dark from the Kylie Collection (Kollection?). 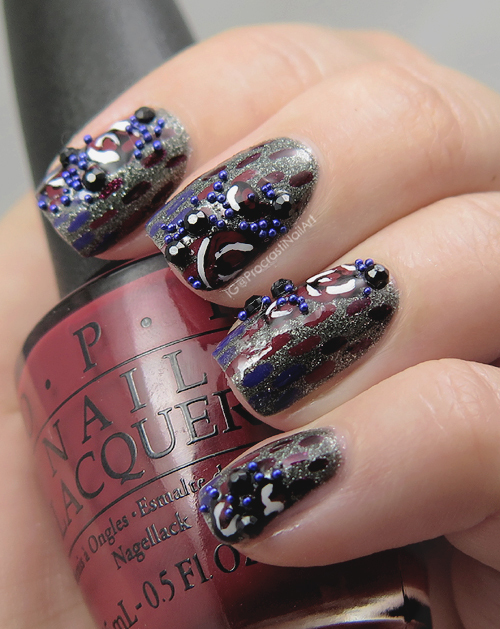 The rest of my designs were done with black and white acrylic paint as well as Deborah Lippmann Single Ladies, OPI Viking in a Vinter Vonderland and OPI Lost on Lombard. There is no real rhyme or reason to the placement of my roses, gems and microbeads - I just put them down wherever I felt like it! 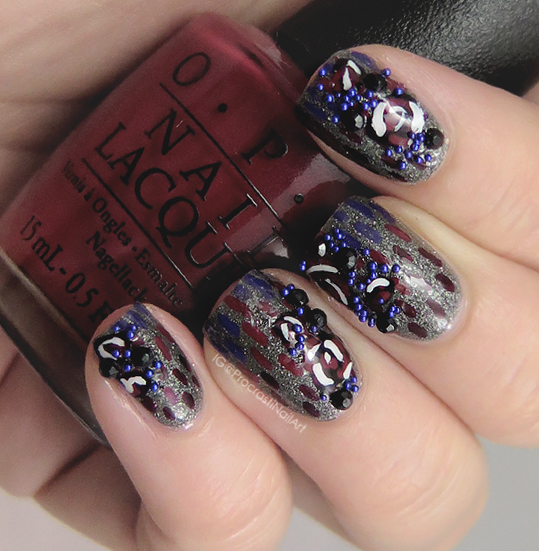 I think the final look is a bit messy but in a cohesive way, if that makes sense. :) I really like it! I love how you just kept going and going lol! That happens with me a lot of the times! Such an interesting design this is. love this! Simple yet intriguing! Very creative, definitely art! These are really cool! The design is random, but the color scheme brings it all together!